Pre-installed on all iOS devices, the Apple News app has over 70 million users in the UK & US alone. 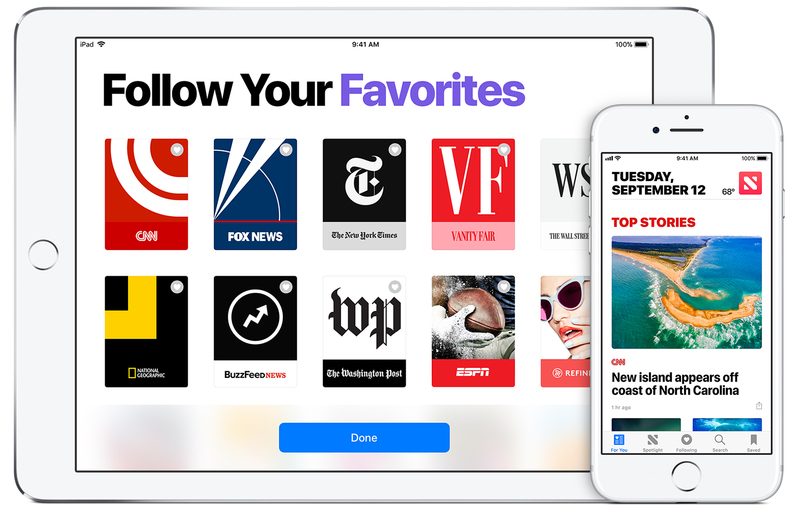 Publishers can push their content to Apple News so that app users can create a tailored feed of content relevant to their tastes. Canvasflow has native support for Apple News. Once connected you can push any of your Canvasflow articles directly instead of having to separately create it in the Apple News Format. You get to experiment with reaching new potential audience whilst concentrating on what you do best - creating content. We do everything else. With an optimised workflow for publishing to Apple News, your content has potential to reach a huge new audience. This is a great way to grow users and subscribers by sampling content and leading them back to your owned media like apps, websites and magazines. Canvasflow is a feature rich content authoring platform. Here are just a few of the features the editor offers. With Canvasflow's preview mode, you can instantly see how your content looks on multiple devices and orientations. You can download your content as a static article or seemlesely publish it with one click to any of our supported channels. With specialized tools for working with a resposnive grid, you can easily create, resize and manage columns, and even apply responsive visibility. Easily write HTML markup, add 3rd party embed code or upload zip files containing complex custom code. Our platform offers full HTTPS encryption using TLS 1.3 and HTTP/2 for the best security and fastest delivery. All images are automatically optimised and with built in cropping tools and aspect ratio detection, you get the perfect image everytime. Streamline your workflow by creating reusable templates either .... - even create a template from an exisitng article. You can export your content as standalone static articles at anytime and use it whereever you wish - no platform lockin.